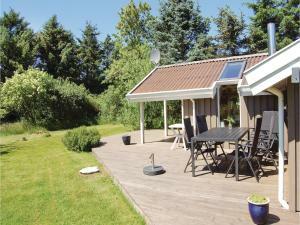 Holiday home Ingelisevej Løkken III is located in Grønhøj. Guests staying at this vacation home can use the free WiFi. 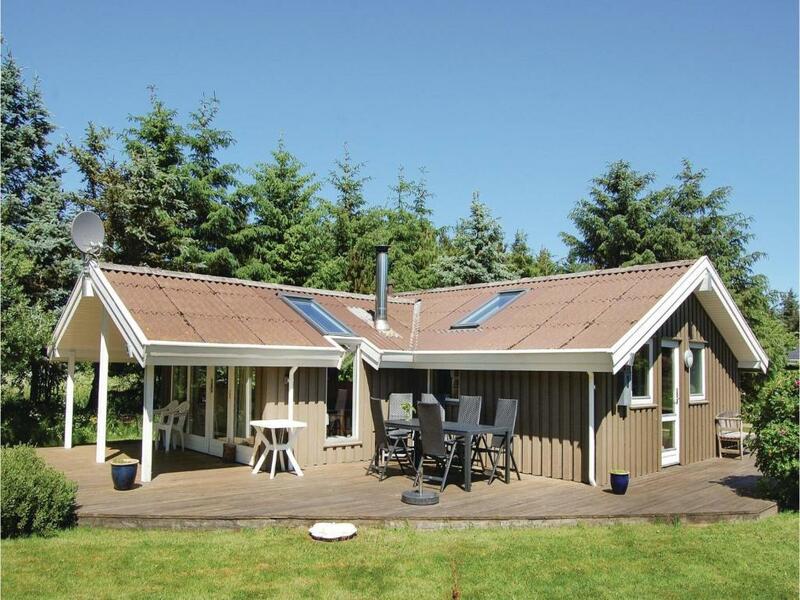 This vacation home will provide you with a TV and DVD player, air conditioning and a living room. 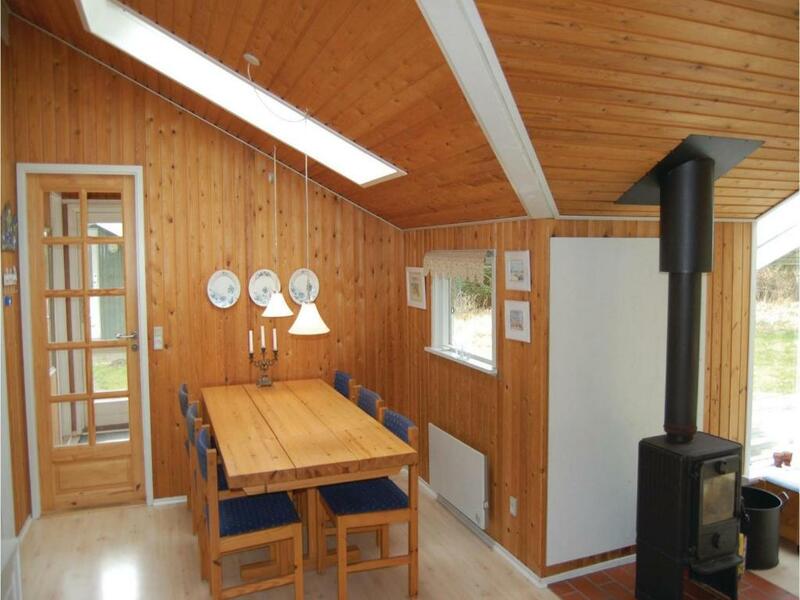 The property is equipped with a kitchen. 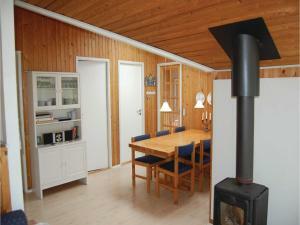 Aalborg is 27 miles from the vacation home, while Hirtshals is 27 miles from the property. The nearest airport is Aalborg Airport, 24 miles from Holiday home Ingelisevej Løkken III. 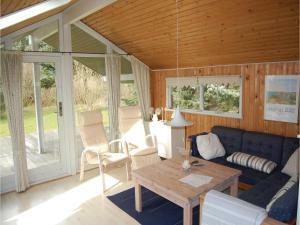 When would you like to stay at Holiday home Ingelisevej Løkken III? This holiday home has air conditioning, kitchenware and fireplace. One of the best sandy beaches of Denmark is located in this region. You can enjoy the beach to the fullest, as sunlight is available for a longer duration in this part of Denmark. Numerous natural experiences, tourist attractions and destinations are located here. Norway and Sweden are located close to this region and it takes approximately 2 hours to reach there. 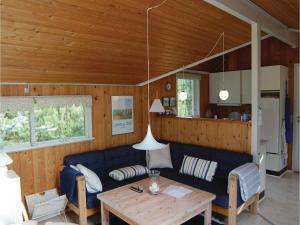 Try your luck with fishing on Uggerby River or take a fishing boat and fish in the yellow reef. Enjoy and experience the fascinating, early-morning atmosphere at the fish auction in Hirtshals. Admire the aquarium of North Sea Museum and its exciting underwater life of the North Sea. 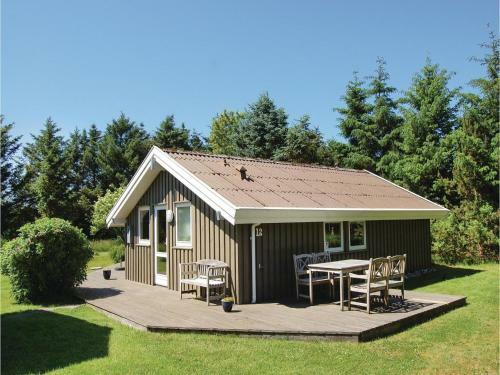 You can observe huge birds from close quarters in Ørnereservatet Eagle Sanctuary and witness various domestic animals in the experimental farm called Fun Park. House Rules Holiday home Ingelisevej Løkken III takes special requests – add in the next step! 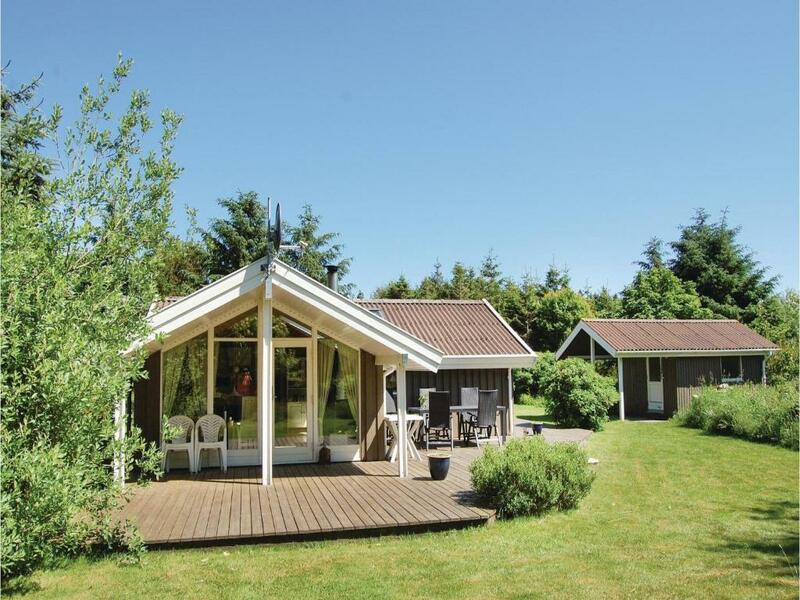 Holiday home Ingelisevej Løkken III accepts these cards and reserves the right to temporarily hold an amount prior to arrival. We need at least 5 reviews before we can calculate a review score. If you book and review your stay, you can help Holiday home Ingelisevej Løkken III meet this goal.